and respected A/E/C Marketing Consultant. She takes pride in every project Pivotal undertakes and is truly committed in going above and beyond to ensure expectations are exceeded and success is achieved. Kelly actively leads project and proposal efforts as well as oversees Pivotal’s experienced and skilled team. She has assisted or lead proposal and interview pursuits on a variety of project sizes, market segments, and product lines to win projects from $500,000 to over $500 million. Kelly received a Bachelors in Business Administration from the University of North Dakota and a Master’s in Business Administration from the University of Phoenix. She was with The Weitz Company for eight years and held prior positions with J.F. Shea Company and ABF Consulting Engineers. Kelly and her husband, Tom, keep busy with their three boys Brady, Jed, and Cade and their extracurricular activities that involve baseball, flag football, basketball, and scootering. With nearly two decades of marketing experience in the AEC industry, Kelly understands the importance of integrating marketing/business development strategies and operational excellence to win work for Pivotal’s clients. She offers comprehensive industry knowledge and expertise to develop concise, impactful and sophisticated marketing collateral and proposals. 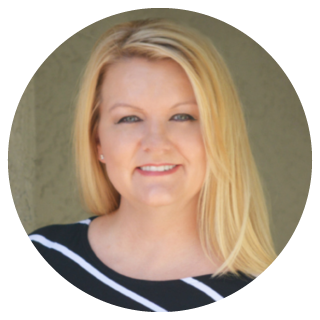 Kelly works closely with project teams to analyze and enhance technical content, provide strategic direction, and identify key differentiators to distinguish her clients from the competition. The result is a blend of visual and written content into winning proposals and industry-leading marketing pieces. These expert skills have made her a highly sought after project pursuit marketing leader. As Managing Partner, Kelly’s business savvy skills, charismatic personality, and determined work ethic has contributed to Pivotal becoming a well-known and respected A/E/C Marketing Consultant. She takes pride in every project Pivotal undertakes and is truly committed in going above and beyond to ensure expectations are exceeded and success is achieved. Kelly actively leads project and proposal efforts as well as oversees Pivotal’s experienced and skilled team. She has assisted or lead proposal and interview pursuits on a variety of project sizes, market segments, and product lines to win projects from $500,000 to over $500 million. Kelly received a Bachelors in Business Administration from the University of North Dakota and a Master’s in Business Administration from the University of Phoenix. She was with The Weitz Company for eight years and held prior positions with J.F. Shea Company and ABF Consulting Engineers. Kelly and her husband, Tom, keep busy with their three boys Brady, Jed, and Cade and their extracurricular activities that involve baseball, flag football, basketball, and scootering. © 2018 Pivotal Marketing Partners // ALL RIGHTS RESERVED.